Thanks to its geographical location, which offers countless cycling routes, winding roads and first rank mountain passes, Encamp is one of the best places in Andorra for active holidays with a choice of outdoor activities such as hiking or cycling, whether if you are a roadie or a mountain biker. So, if you are planning to enjoy a few days of outdoor activities and adventure in Encamp, you’ll find in our hotel the perfect accommodation and the deserved rest after a long day of hiking or cycling throughout the area, as Encamp offers a wide range of cycling routes, as well as all kinds of hiking itineraries or via ferrata climbs. 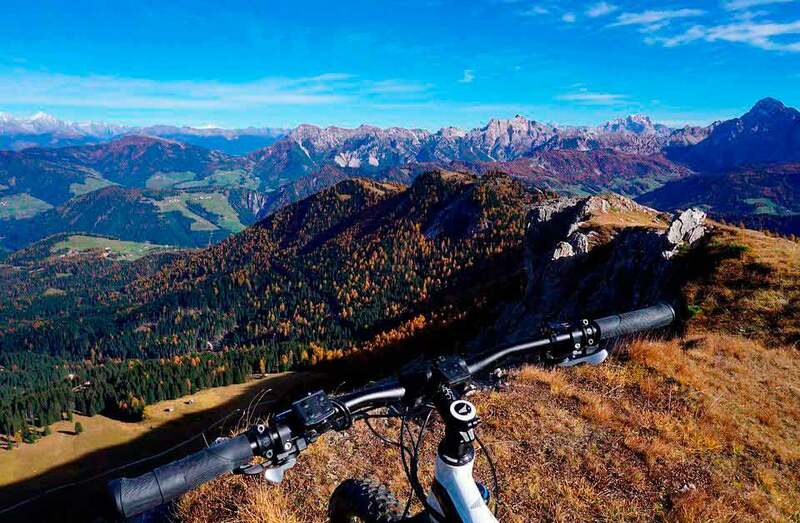 Despite what you may think at first sight when seeing the kind of roads surrounding Encamp, the area offers several cycling routes of different levels. Undoubtedly, one of the best climbs is the Encamp-Els Cortals route. This itinerary follows CG-2 road up to to the northern exit roundabout, where the Funicamp is located at 1,329 metres and turns right along CS-220 road to Els Cortals d'Encamp and Funicamp mid station at 2,083 metres. This cycling route has a high difficulty, with climbs between 5.4% and 10.2%. The average slope is 8.5% with a cumulative total of 754 metres over the 8.9 km distance. On the other hand, the Encamp-Col de Beixalís route means a major challenge for experienced cyclists even if it is short. In this case, the route begins in Encamp, follows the CS-210, at 1240 metres, and ends at the pass of Beixalís, at 1,796 metres. The route has a positive slope of 556 metres, with an average slope of 8.4% and a total length of 6.6 km. Just like the Encamp-Cortals road, the whole itinerary boasts incredible views over Encamp valley. 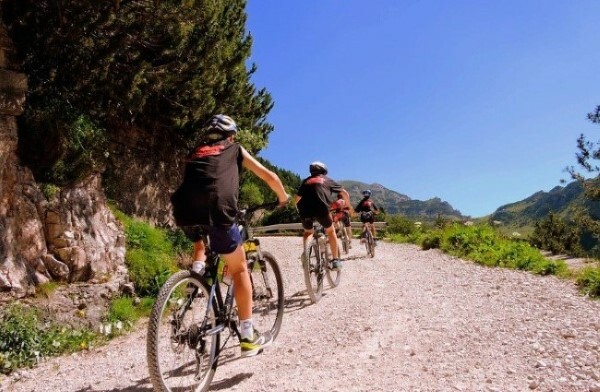 If you prefer a much more accessible cycling itinerary in Encamp, the perfect proposal is the mountain biking path that follows Camí de Pardines. It is almost flat, suitable for families. This route runs from the parking lot of Borda de Pardines, located at 1.630 metres, to Engolasters lake, at 1,620 metres. It’s 3 km long and a low slope of 10 metres. The approximate duration for the round trip is approximately 45 minutes. Again, along the route, you will enjoy a spectacular panoramic view over all Encamp.